Their desire is to ‘touch the sky with glory’ and are guided by the motto ‘we do the difficult as routine; the impossible may take a bit longer’. They are the brave officers and men of the Indian Air Force who have proved by operating in the inhospitable terrains braving the enemy fire that nothing is impossible provided one has the indomitable will and audacity. “What can cause shivers within an ordinary pilot, the pilots of the IAF are performing routinely, for six-eight hours a day, 365 days a year,” says Air Officer Commanding, Leh, Air Commodore F.H. Major, referring to the sorties flown by the Air Force helicopters and planes to the Army posts situated amid mountain peaks in almost inaccessible heights ranging up to 20,500 ft. In fact, the IAF has been performing this routine for the past 16 years since Operation Meghdoot began in the glaciated 76-km stretch of Siachen as part of air maintenance and defence of the mountainous land of Ladakh. 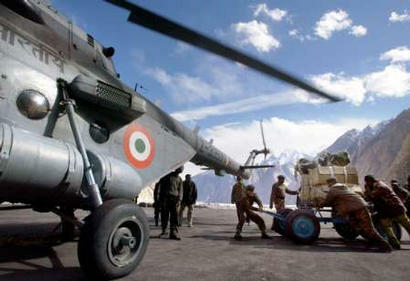 Troops load cargo onto a Mi-17-1V at the Siachen base camp. Note the IR-flare box mounted on the side to jam heat-seeking missiles. Photo dated Oct 04, 2003. “To counter the cartographic aggression by the Pakistanis, the Indian Army launched an expedition to the Siachen glacier under the leadership of Col Narendra Kumar, a mountaineer of repute in 1978. 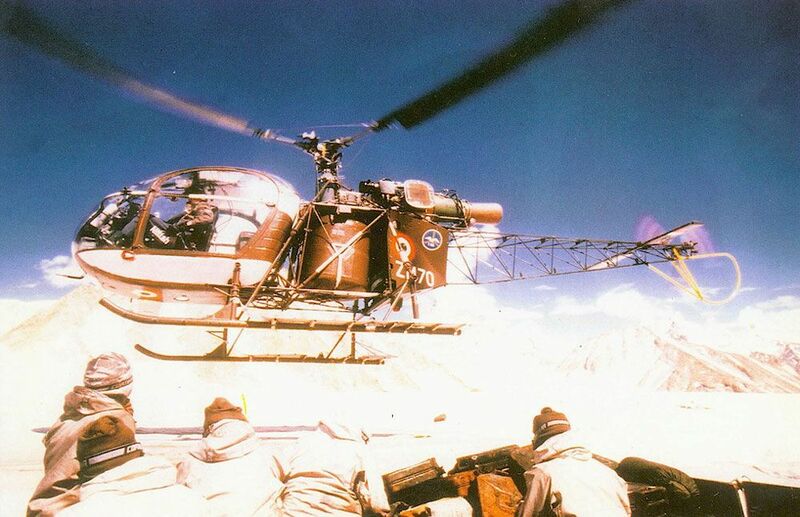 On September 20, 1978, Chetaks flew the first sorties in the glacier in support of the expedition,” said Air Commondore Major. In 1984, a battalion strength force of the Army occupied the glacier and choked off the Pakistani access through Bilafond La and Sia La. “Siachen air operations today are a far cry from the ad hoc procedures of the first sorties of 1978. They are scientifically planned and meticulously executed, for both human lives and supplies are precious,” said Air Commondore Major. Both IAF aircraft and helicopters are engaged in continuous maintenance operations at the posts in the glacier with height in excess of 20,000 ft and situated within the firing range of the enemy. At places, enemy posts are a mere 300 metre away. “Flying a sortie in the Siachen glacier is a different ball game altogether as even a slight miscalculation or mishandling of controls by the pilot can cause force landing in an area where crevasses are so wide and deep as to swallow an entire aircraft without a trace,” said Air Officer Commanding Jammu and Kashmir, Air Vice-Marshal S. K. Jain. An IAF Cheetah helicopter comes in for a quick drop of supplies at a post. At altitudes that they encounter daily at Siachen, the aircraft can carry only the minimum of weight and can never switch off their engine. The Siachen glacier, where the Actual Ground Position Line (AGPL) is drawn forming the boundary with Pakistan, lies deep in the heart of the Karakoram mountains forming the main axis of the range itself. The ground here is so fragmented and uneven that one would stand a negligible chance of survival. Besides, the pilots have to brave temperatures as low as -60° Celsius, strong winds and flying in poor weather conditions in the close proximity of hills,” Air vice-Marshal Jain said.  “There is always the threat of powerful down draughts that pull the helicopter down, if the pilots are not careful. Added to this is that the helicopters are flying at the extremes of their flight envelope where the power margin available is small, if not negligible,” he said, adding that above these there was a threat of enemy fire.